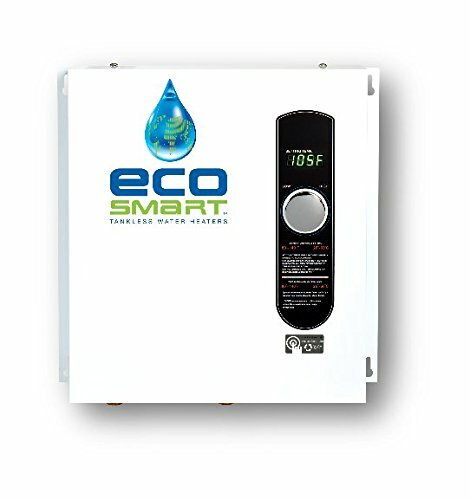 Tankless water heaters have become increasingly popular in recent years for their efficiency, technological superiority and environmental consciousness. 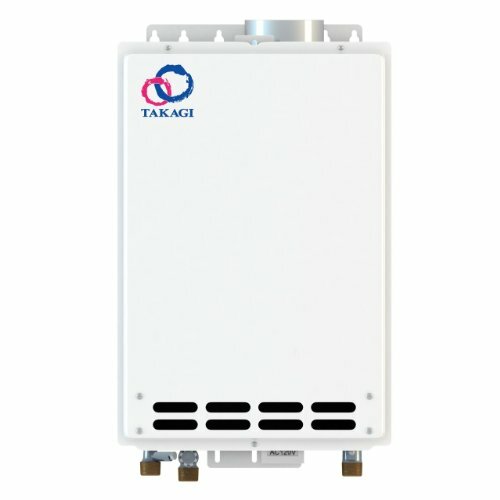 If you are here, then hopefully, after careful analysis of your needs as which tankless water heater fits best, you have finally made your choice of a tankless water heater. Now comes the next step; installing it in your home so that you can start enjoying all the benefits that convinced you to move to your particular model in the first place. While others may want to hire professional help, you probably decided to take the adventurous route and attempt a DIY installation. If so, I have put together this guide to navigate through the turbulent waters of the DIY with some ease. Going in, you must have a clear idea of what type of water heater you are about to install in your home. Based on the fuel source, there are three main types of tankless water heaters; propane-powered, natural-gas-powered and electric-powered. Each type comes with its own particular requirements which we will cover a little further down in the preparation section. If you are planning a DIY install, the user manual is your best friend. Most companies include detailed installation instruction in the user manuals of their products, but in case you do not find any with the one you bought, always contact the manufacturer and ask them for guidance directly. By illustrating the correct method of installation, the manual will not only allow you to install your unit as quickly as possible, but also minimize the risks associated with the handling of gas pipework or electrical lines. Always consult the manual. An often overlooked part of the service industry is the sheer amount of laws and by-laws that apply to each part. Because installing a tankless water heater qualifies as a professional service, this is no different. There are codes in place to ensure a minimum quality of service, as well as for maintaining an agreed upon standard of equipment. Codes vary across different localities, and before going through with your DIY installation, you will have to go through the relevant codes in your area. While the temptation to avoid having to read lengthy blocks of text is understandable, it is important to remember that they exist for your protection. Remember that the physical act of mounting a tankless water heater is not very difficult. But understanding where to place it, how to make sure it consistently works and being able to make the necessary provisions is what separates the pros from the armatures. 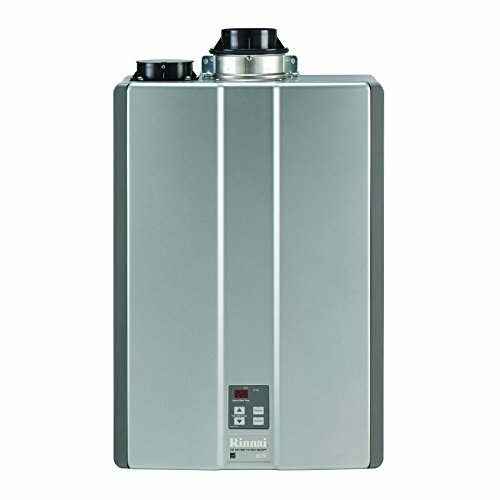 For any tankless water heater, installation is broken down into three essential areas. Our aim here is to make sure whether or not your household has the room to accommodate the heater’s working requirement in these areas. While water supply is not generally a concern, it is important to know if you supply the necessary power and provide for the ventilation. This is where the types of tankless water heater you are using will be most relevant. The fuel your water heater uses largely determines what it requires and how it behaves in your household. 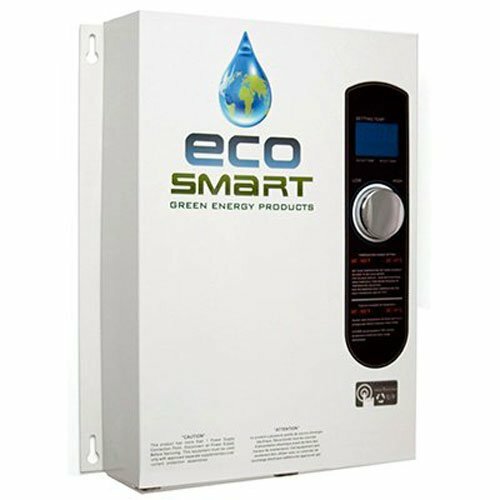 Each water heater has a required input of gas or electrical energy. Requirements for gas-powered units are shown in Btu and the Electrical requirements are shown in voltage. 208 or 240 V is a common value in the electrical units. You may have to examine your gas meter or contact gas supply company in order to confirm if your main supply has the capacity to supply the required Btu requirements, especially in the case of a retrofit installation. In case you do not, you may have to upgrade your supply, which would involve enlarging the main pipeline that supplies gas to the house. Evaluating the electrical supply is slightly different. 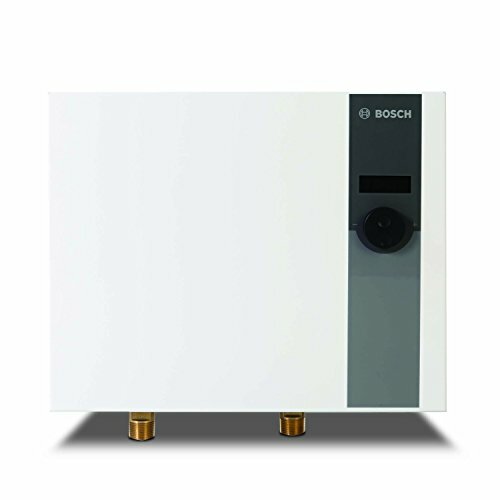 Tankless water heaters require a significant amount of power. So you do not have to worry about the availability of electrical energy, as much as you need to consider whether the wiring in your house can sustain such a heavy load. You will have to find a high-power electrical outlet for the heater to connect to. This will have implications for the placement of the heater. In case the wiring in your house is not robust enough, you may have to contact your supplier and seek professional help in the form of either upgrading the wiring network, or creating a new electrical outlet dedicated to supplying power to the water heater. Unless you have an outdoor unit, the next thing you will have to look at is the venting requirements for your model. Gas or propane-run heaters will definitely be more demanding in this area since they produce heat through combustion. The first decision that needs to be made regarding ventilation is how you want the exhaust fumes to exit the house, which means deciding the route of ventilation. They can either be directed through the roof, through walls or a chimney. Regardless, in a retrofit installation, a degree of the modification to the existing is inevitable. This may be in the form of the additional pipework, specific to the heater, or redirecting existing channels to accommodate the heater. It is better to place the heater as close to the point of exit as possible. The second decision to be made is regarding the pipework itself. Pipes are mostly available in either metal or plastic. More often than not, manufacturers specify the exact grade, quality and size of the pipes to be installed with a heater themselves. Nevertheless, you should always make sure that the route you decide and the quality of the pipework are in line with local safety codes since this has a strong impact on the quality of the indoor environment. One other provision you may have to make is for condensing options. By now you are probably aware of the difference between a condensing and a non-condensing model, and whether you heater produces condensation or not. Even though condensation is usually in the form of water vapor, the ventilating pipework needs to have room for it. The two previous steps will, for the most part, impact where you decide to place your water heater. But at the same time, you will have to make sure that the spot you chose for your tankless water heater is optimal in terms of which faucets require hot water most frequently. If the optimal point for ventilation and the optimal placement in terms of usage are not the same, some infrastructure will inevitably have to be moved from one part of the house to another. If this heater is replacing an old tank-style heater, make sure you remove the old heater before beginning to install the new one. For this, turn off the gas supply as well as the water supply to the tank heater, and drain the water inside the tank preferably using a battery powered pump. Remove the old heater from the environment. Unbox your new tankless water heater, and place the contents of the package, as well as instructional materials and your toolkit near the spot you have decided to install your heater in. Once again, be sure to verify that the placement is in line with safety standards. 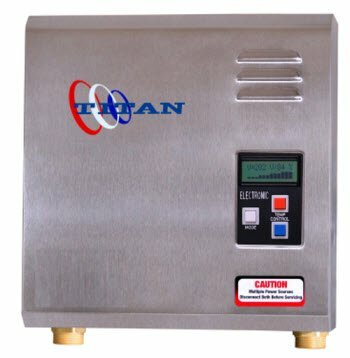 For installing the new tankless water heater, the first step should be to mount the body of the tankless water heater. These bodies come with built-in spaces from screws. Drill a hole in the wall as a reference for the top-center screw that will attach the body to the walls. Add a screw and suspend the body from it. Using a leveler, make sure that the body is straight and proceed to mark reference points for all other places where the body must be screwed in. With the help of these screws, mount the body firmly on to the wall. It is optional to construct a wooden casing for it as well. Disconnect the water supply to the house using the valve on the incoming supply line. 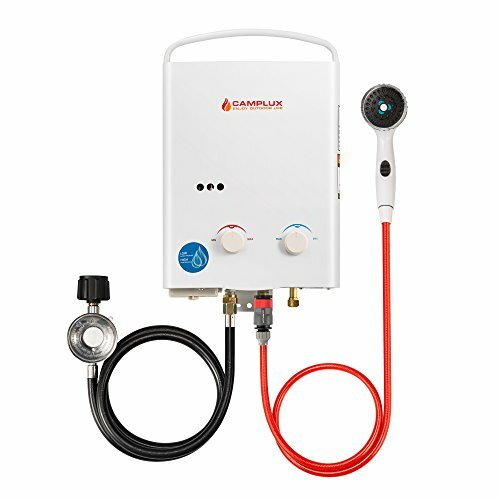 This will allow you to have a still working environment, without having to worry about water gushing or leaking from any point while you create new water supply lines for the tankless system. Disconnect incoming gas supply to the house as well so that there are no leakages while you install the water heater. In this step you will connect the main supply to your chosen spot. Assuming that you correctly followed step 1, you should have an accurate idea of the size of the gas pipe or the power rating of the electrical outlet that is required. Connect an adequately sized flexible pipe from your gas meter to the chosen spot for gas-powered heaters. For electric heaters, it is assumed that an adequate electrical outlet is available in close proximity by the time you have reached this step. Next comes, ventilation. Once again, if you managed to follow step 2 correctly, you should have a clear idea of what needs to be installed. Most heaters require large stainless steel flues. Connect the ventilation to the body of the heater, and extend the other to wherever you have decided to create the exit point. If you have a “sealed combustion” unit, then you will also have to connect an intake vent alongside the exhaust vent, which will supply air to the heater for combustion. Arrange for the heater to have a water supply. Using copper pipes of ¾” to 1” depending on the size of the heater connect the heater to the main water supply. The length of copper required for this will depend on how far the nearest supply line is. Remember to connect the cold water supply to the inlet, and the hot water line to the outlet. Use bell-hanger brackets to clamp pipes onto the walls, without having them touch the walls. Take the plug at the end of the wire attached to the heater, and connect to the nearest sufficient electrical outlet. It is important to have electrical provision nearby for gas-powered heaters as well since they also might require electricity if they contain a digital control panel. Once you have covered the three main factors, you need to start creating the finer connections needed to make the heater functional. For gas-powered heaters, connect the shut-off valve and sediment trap to the gas supply line. The instruction manual will help you identify where the gas shut-off valve is. Tighten the connection using wrenches. In the same way, connect the copper pipes to the water shut-off valves. If your heater comes with a safety temperature-and-pressure release valve, connect that to the copper pipe segment as well. For heaters that produce condensate, connect the drain for condensate present mostly at the bottom to the heater, to PVC pipe which can then be connected to the nearest floor drain. Make sure that no active part is left exposed. Check all gas pipes for any leaks using a gas sniffer. Check also for stray currents at every electric connection using a voltmeter, or a generic tester. If you are supplementing your heater with a recirculation system, add a crossover valve to the nearest facet that is connected to the heater. This valve will eliminate the “cold-sandwich” problem. Once you’re confident that everything is correct, turn on the main gas and water supply and test the performance of the heater by turning hot water taps. Adjust the temperature and pressure settings of the heater accordingly. In case the heater does not seem to work, contact the manufacturer or hire professional help. 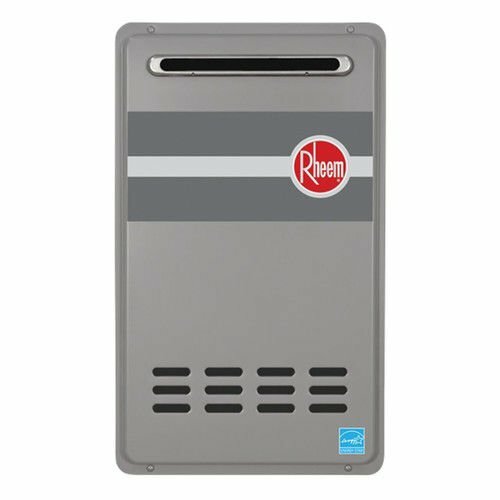 In the end, the idea behind using any product should be to make your life easier and the installation of your tankless water heater should also fall in line with that idea as well. While willingness to learn and take charge is admirable, one should never hesitate to seek professional help where necessary. That being said, these instructions are designed to give you an in-depth understanding about what goes into a standard installation procedure for a tankless water heater, if not to enable you to roll your sleeves up and get your hands dirty. Just remember to take all safety requirements into consideration and practice necessary caution when handling potentially hazardous equipment.